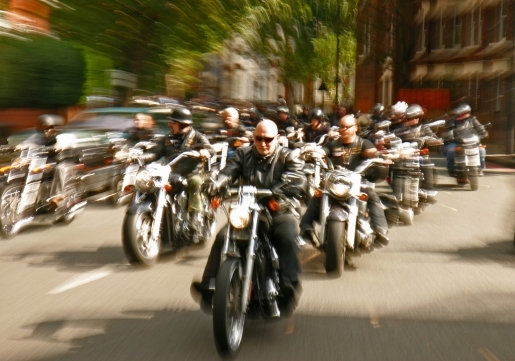 Hells Angels gang leaders are going to be expected to be more like Hells Accountants after the Australian Crime Commission ruled against the biker gang, forcing them to reveal their income sources, employment, and just how they afford all those cool cars, leather coats, and awesome motorcycles. After the leadership of the notorious biker gang and criminal syndicate were arrested, the 12 captured Angels were trying to avoid testifying about how they made the money needed to support their lifestyle. However, the ACC ruled against them, and now the bikers are expected to be examined at length by prosecutors attempting to bust the gang. Apparently, Australia is a hotbed of biker activity. I thought that was only in Mad Max, but apparently it’s true in real life too. Angels, Banditos, Nomads, Rebels, and others periodically clash in violent conflicts, usually in public, down under. Helpless authorities are trying anything they can to reign the bikies in, and are hoping that busting Angels leadership for tax fraud might be enough to break the Harley-riding demons, since it worked on the American mafia.